It may be the beginning of November, but supermarket aisles are lined with mince pies which means Christmas is almost in sight. 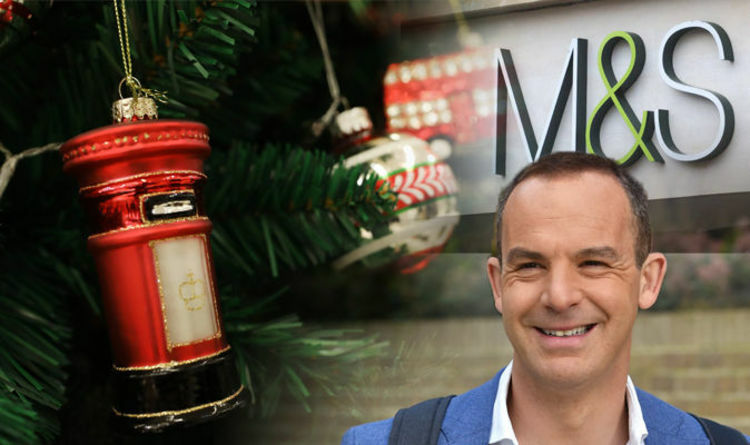 Ahead of the festive period, Martin Lewis has explained how to get savvy with spending in the countdown to Christmas. Speaking on This Morning today, the founder of the website MoneySavingExpert.com, advised viewers about a very exciting deal which is currently available at Marks and Spencer. While it might not be for everyone, the 46-year-old told presenters Ruth Langsford and Eamonn Holmes how spending at least £35 in store or online on clothes, beauty, or homeware (excluding furniture) would see shoppers gain access to a very festive deal. For anyone spending the £35, Marks and Spencer will drop the price of their 2018 Beauty Advent Calendar from a whopping £280, to just £35. The calendar currently retails at £280, and contains 25 products which are worth more than £250. “This is one of the most eagerly awaited beauty advent calendars for people who love deals,” Martin said. The Money Saving Expert went on to reveal some of the beauty brands which consumers would find behind its windows. The 25 beauty items include Eyeko mascara, L’Occitane cream and shower gel, Balance Me Wonder eye cream, and a Leighton Denny mini crystal nail file. But, it seems like a relatively easy process, as the journalist told viewers how the discount is automatically applied at the checkout. While the price reduction could make the beauty-themed Advent Calendar more affordable for some, the Money Saving Expert offered another option. For thrifty shoppers, the products inside could also double as Christmas presents. “It’s also not bad as something to buy and then split up as multiple gifts to give to others,” he said. The Girl in the Spider's Web reviews: What do critics say about new Dragon Tattoo film?